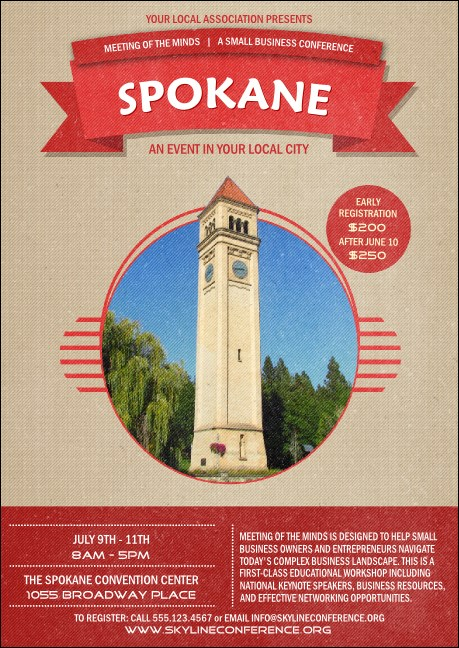 Bring attention to your Spokane conference, concert, or event with the Spokane Postcard. Printed on high quality card stock with beautiful red tones and the Clocktower front and center. Whether your guests love spending time outdoors in the stunning Spokane Valley or indoors at the many vineyards and breweries, get noticed with these postcards!